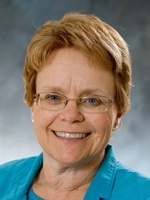 Professor Kleyer has a Master of Science in Nursing degree from Briar Cliff University. Her patients have ranged from pediatric to geriatric, and her nursing experience includes medical clinic, emergency room, coronary care, labor and delivery, post-partum, and medical-surgical. She also has coordinated nursing care in a 50-bed longterm care facility. Her research interests include older adults, teamwork and leadership. Previous teaching experiences include instructing certified nurses aide courses, training nursing staff, and implementing volunteer programs. (3 credits 2:1)Based on a Christian worldview and the framework of nursing as a healing ministry, human science and performing art, this course provides the foundation for application of the nursing process with diverse pediatric and adult clients in acute and chronic i llness. On-campus laboratory precedes clinical experiences and as a means to promote shalom. These experiences provide opportunity to develop knowledge and beginning nursing aptitudes in intervening with the care of individual clients across the lifespan. Prerequisites: NUR220, NUR280, BIO203, PHI214, and REL110. Concurrent requisite: NUR290. A fee is associated with this course.